Today I am partnering with Brittany of Brittany Lauren Design to give one lucky reader a personalized/custom address stamp! 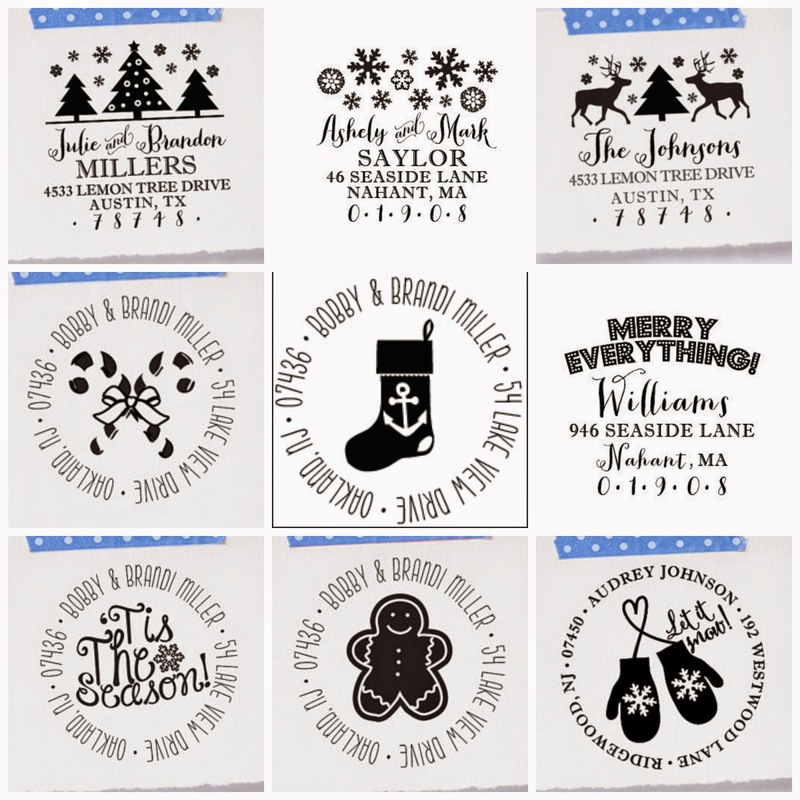 You can choose from one of the holiday designs or something else (Brittany offers over 12 pages of designs to choose from-critters, monograms, wedding theme, and more). The winner can choose a rubber stamp or a self inking stamp. Enter using the Rafflecopter widget below. I love the rope anchor theme stamp! (naturally). such cute designs! I love the address labels with the black lab! So cute! I love the dog and crab stamps. These stamps are so adorable! I love this giveaway! It would be so hard to choose. I love the Pineapple circle stamp but have also really been wanting a holiday one. I love the reindeer! The anchor one is beyond perfect!! The anchor stocking is AMAZING!!!! Great giveaway! These are great stamps! I've been looking for something like this for a while but hadn't found the right option. Love the snowflakes for the holidays! I'm loving the self-inking stamps! I had one for our apartment but since moving into our first house I have yet to buy a new one. 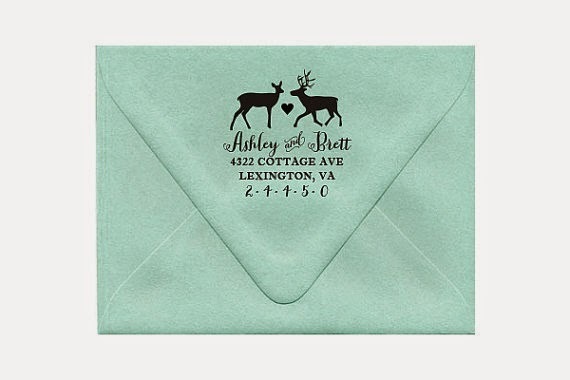 I am also loving the personalized stationary I spotted on her website, the one with the little elephant is SO cute!!! I love the honeycomb bee personalized serving tray! I love the circle wreath return address stamp! These are adorable stamps! Thanks for introducing me to even MORE preppy products!